Leah Penniman was told she wasn’t welcome, from her first day in a conservative, almost all-white kindergarten. “I remember this one girl teasing me and saying brownies aren’t allowed in this school … and that really continued, that type of teasing,” she recalls. “Every time I walked into an honors classroom, they would ask me if I was in the right room,” she says. She made it her goal to start a farm for her neighbors, and to provide fresh food to refugees, immigrants and people affected by mass incarceration. She calls the lack of access to fresh food “food apartheid” because it’s a human-created system of segregation. Penniman and her staff at Soul Fire Farm, located about 25 miles northeast of Albany, train black and Latinx farmers in growing techniques and management practices from the African diaspora, so they can play a part in addressing food access, health disparities, and other social issues. 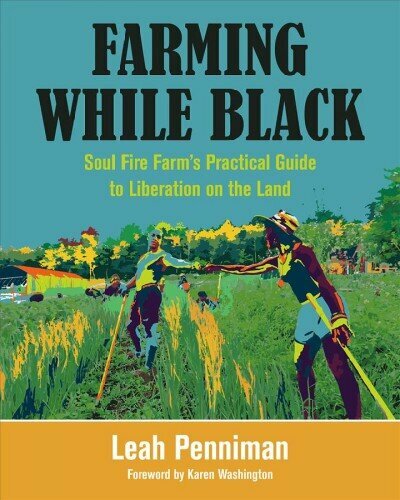 Penniman’s new book, Farming While Black: Soul Fire Farm’s Practical Guide to Liberation on the Land, details her experiences as a farmer and activist, how she found “real power and dignity” through food, and how people with zero experience in gardening and farming can do the same. For example, farmers grow marigolds and other beneficial flowers next to crops because those attract insects like ladybugs to do natural pest control. That’s called polyculture now, but it’s a practice that came from Nigerian and Ghanaian farmers, and Penniman’s book traces techniques like that back to their historic roots. “A lot of the folks in the sustainable farming world get a lot of information through these conferences and sort of assume that … it’s either ahistorical or originated in a European community, which is an injustice and a tragedy,” Penniman says. “We don’t always understand enough about all of the things that enslaved people built in the U.S. It’s not just brute labor, it’s not just brawn. This is technology, this is ingenuity, this is engineering, this is hydraulics. 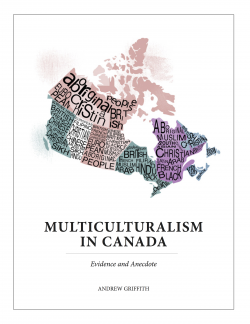 It’s all rooted in west Africa,” says Fields-Black. She cites a 2018 report from the Southern Poverty Law Centerdetailing the “dismal” results of how little high school seniors know about the history of slavery, and says her work is about celebrating African technology, and “recovering the humanity of the enslaved.” That’s something she and Penniman have in common, she adds. “That’s the universal experience … of being black in this country,” says Chris Bolden-Newsome, a farmer and educator at Sankofa Community Farm in Philadelphia, whom Penniman interviewed for her book. “What was really powerful about it was these young folks said things like, ‘I’ve never been welcomed into someone’s home before, or this is the first time I’ve seen folks who look like me running their own businesses and following their dreams and owning their land,'” says Penniman. “There’s a lot of crying that happens on our farm,” she adds.